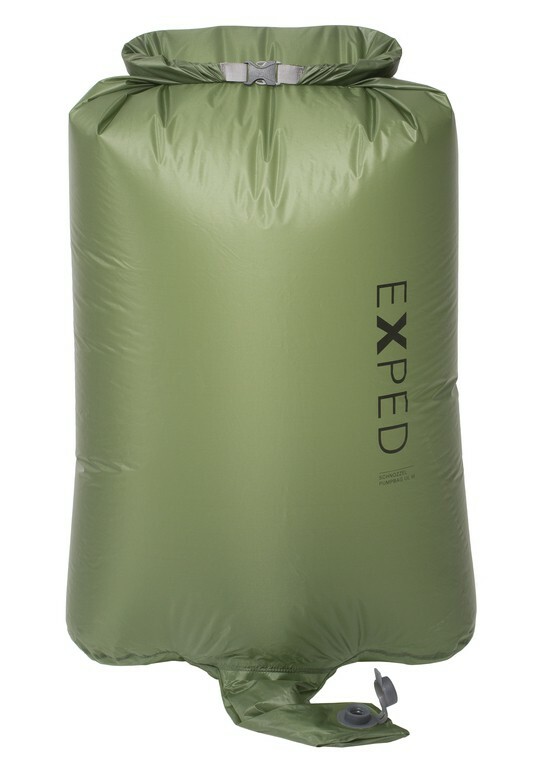 Any Exped mat can be comfortably inflated in just 2-3 compressions. 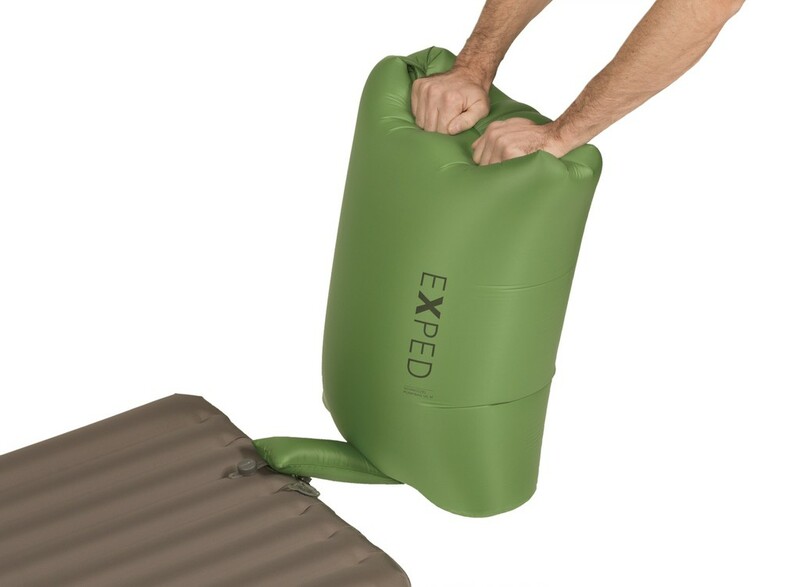 Even mats with integrated pump can be connected, but require the optionnal Flatvalve Adapter. 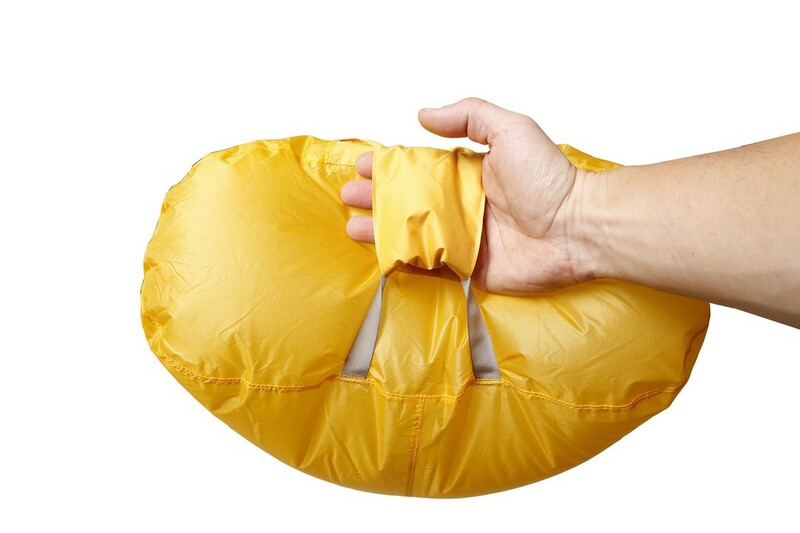 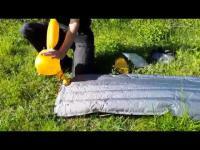 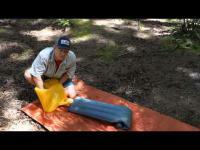 Schnozzel Pumpbag is also an ultralight waterproof compression drybag.